We have all heard the pastor preach, learn how to be still for God’s Voice. Do we really listen for God’s voice? Over the last 8 weeks, I have learned how to be still by turning off all distractions that include the television, music, and my phone. How else do you expect to hear God’s voice. It’s getting in that quite place so that you release all thoughts that were negative and unclear. Release those thoughts to replace with positive energy so that you may hear God’s voice and plan for your life. It starts with you learning to be still and listen. Is it hard learning how to be still? No, it is not hard at all but if you are not use to complete quietness then you may experience a few distractions. I have a few tips to help you prepare yourself to be still for God’s voice. Turn off everything including television, laptop, and radio. Get your mindset ready by meditating and prayer asking the Holy Spirit to rise up in you. If you need to play a gospel music to get your mindset and thoughts to enter that spiritual realm by all means do so. Focus on God’s word and his voice. Be still and just be quiet so that you listen for his voice. Don’t be so quick to get up from your private room or prayer closet. A lot of times we do all the talking to God, but not too much listening to God. He knows our thoughts before we even think them ourselves. So, why not be still for clarity, guidance, direction, and his voice. You practice being still long enough you will learn to discern his voice from any other voice. These quite times will help you to let go of the things that are blocking you from greatness. This quiet time will give you clarity of the people who are in your life for season and those for a lifetime. Life is too short without God’s voice guiding you to your true destiny and showing you what your true purpose in this life is. Don’t you want to tap into his voice? Learn to be still so that you can come into your true self. I am not perfect, but I am learning to walk with God and tap into my passion that is guiding me into my purpose. We were all placed here in this world to serve a purpose. What’s your purpose? Who are you serving? How do you find your peace when everything around you feels like it’s taking all your energy, time, and power? How about when it’s making you sick and you gain unwanted pounds. What do you do? Lately, I have been feeling this way so I made up my mind a few weeks ago that I was not going to allow anyone or anything to have or take my peace. 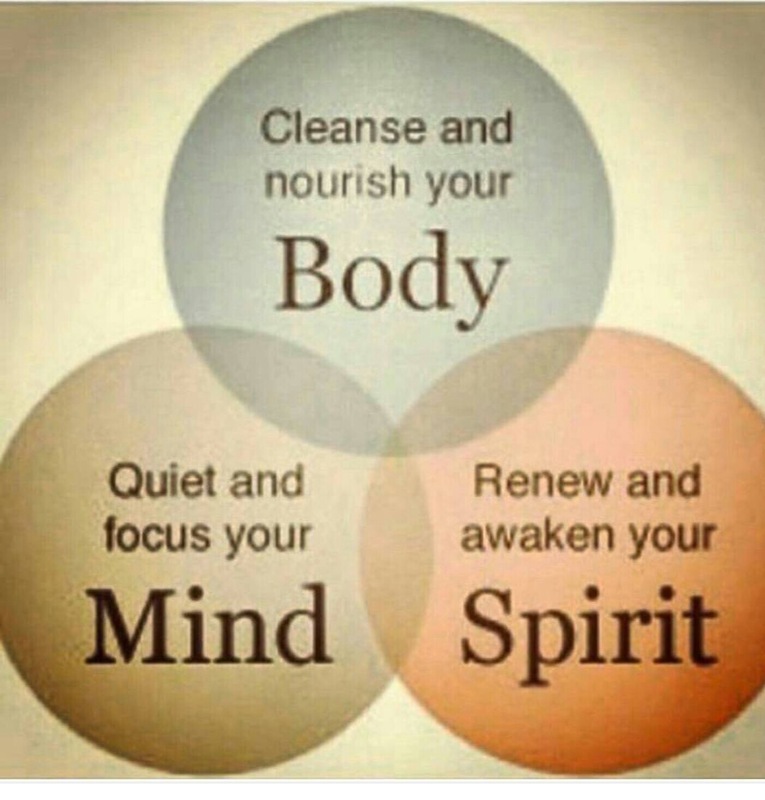 I quiet my mind, cleanse my body, feed my spirit with scripture, nourish my body and mind with affirmations and food. I refuse to be drained of my energy and power. I refuse to allow anyone to overwhelm me with nonsense and by taking up my time with medicrocity. I have learned to treasure my time by dedicating and blocking out time that I use to rejuvenate my spirit, mind, and body. This includes sleep too. When people invade my sleep it’s time to check them and let them know those powerful words of No. I find myself saying the words of No to quite a few people these last couple of weeks. It’s important to have peace because it’s yours time.l and life is too short. God never said for our lives to be hectic, over powered by others, or misused by others. I am no longer worried about anything because I know the good lord has my back and my best interest. How do you control having peace in your life? How do I do it? For me, every morning I have my quiet time for about an hour, jump to it at lunch time, and then when I get home. I enjoy taking a walk or just sitting out on my patio. It’s peaceful and it allows you to think without distractions and unnecessary noise. Most important it allows me to mellow out or wind down from a crazy day in corporate America. Life is too short to allow anyone to corrupt your peace. That’s goes for work too.. Now that’s another story, but I have learned that no job is worth my peace of mind. I have seen that type of stress give folks heart attachs, gain weight, break up marriages, and high blood pressure. You have to learn how to find your peace. Part of my peace is writing. It’s a wonderful feeling to just let your thoughts flow with your pen or keypad. 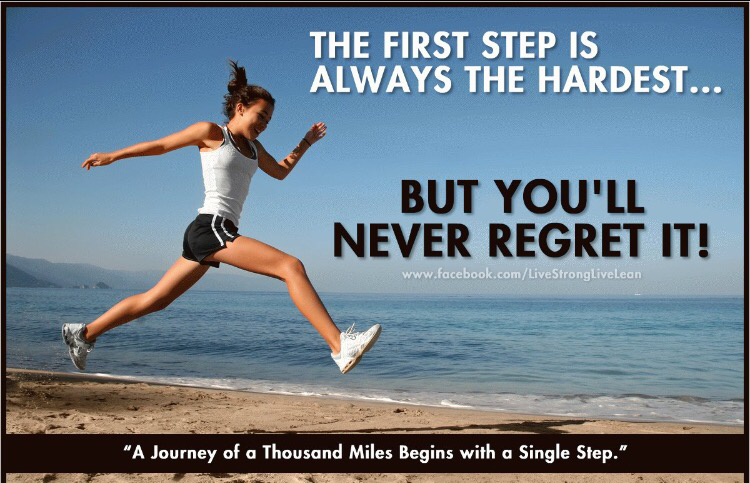 It’s time to take the leap of faith to step out to fulfil your dreams. It’s time for you to place your trust in God’s promise and do not be afraid for your destiny was already determined by the father. I know it’s gets weary and you become afraid of step out on faith to follow and chase a dream. Ask yourself this question, what is it that you have to loose by taking that leap of faith? You get one life and don’t you think you should live out the dreams that God has given you snippets of? I have heard pastors, actors, and radio personalities say just “Jump” and take that leap of faith to follow your dreams. Your dreams maybe to become an actor/actress, filmmaker, business owner, author, dancer, singer, or whatever you are passionate about. It’s time to trust your instincts and follow your dreams. It’s time to place your faith and trust in God and not man. How can you get started with Taking that leap of faith? Writer your dreams in a “Dream journal”. Create a plan that has steps to make your vision board and dreams in your journal come true. Surround yourself with people doing what you desire to do. Research what you desire to learn as much as you can. Are you convinced yet to take that leap of faith? What do you have to loose? You get one life so why not hace a big impact and influence on other people lives by sharing your story and following your dreams. Your dreams are snippets into what the father has for your purpose and destiny. 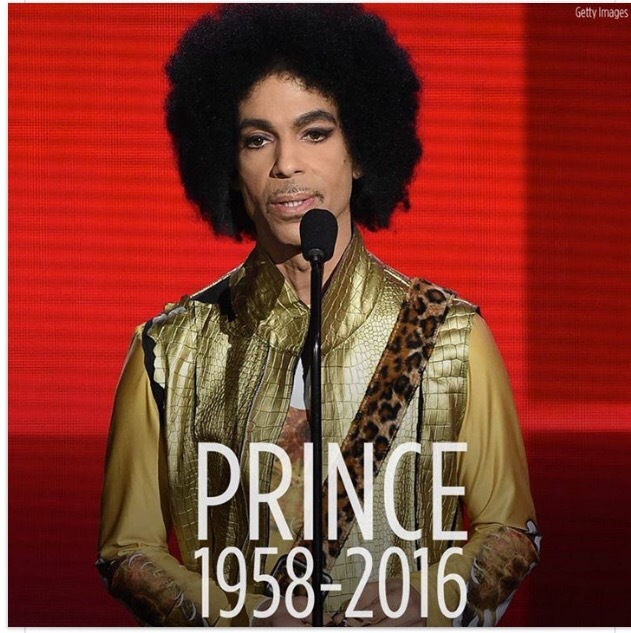 On April 21, 2016 we lost another great artist Prince at an early age of 57. His death came as a shock to the world. We all remember him today as he is layed to rest. We fell in love with his music, his style, his dancing on stag performance at concerts, and honor him as the talented artist that he was known to fans and supporters all over this world. Am I using my gifts and talents to have an impact on others? Do I understand my gifts and talents? What am I doing with my gifts and talents? Where am I and where should I be? Is my passion my purpose and do I understand my purpose? Will I leave a legacy that will carry forward the vision of my dreams? Have you sat back and thought about your life and where you are now versus where you should be now? I have and today I got my confirmation that sometimes you have to leave your place of comfort in order to grow and prosper. We have to pursue our dreams with no regrets because it will do us no good or justice to take our talent and gifts with us to our grave. We were given the gifts and talents for a reason so that we may have an impact on someone’s life. Several weeks ago, my pastor asked the question to the congregation: how do you want to be remembered and what type of impact will you have on others? Will you be a legend or just remember as your given name. What will your name stand for? How will people remember you? It’s not about all the things you can buy, but it’s about the impact you can have on somebody’s life as well as being able to help others prosper and grow. It’s about being able to have a kind heart, giving spirit, a listening hear, and a smile to light up a room that will encourage someone to take that leap of faith becuase you inspired them based on your leap of faith. I want to be remembered for the lives that I touched and impacted to do better so they can live greater than the generation that came bfore them. I want to be remembered for leaving a legacy that will keep reaching back opening doors for men and women, reaching forward to create new doors of opportunity, and changing lives so that our children and their children believe that they were created with purpose and there is power in their gifts, talents, and they were born of greatness to be great. This life is not promised to us, but we can leave a impact on others that will be remembered. Be a legend in your own right and purpose that has an impact on lives that will change the world. We are God’s children and we shall take the time to help one another discover who we are, what our gifts are, and how to use the talents that was gifted to us. Life is too short to not take better care of ourselves and our loved ones. Celebrate the life of great legends and use their words to inspire, aspire, and do better. How will you be remembered? What type of impact will you have on others? It’s been a while since I wrote a blog post for my inspirational blog. It’s been crazy but most important, I lost track of what’s important to my well being as I try to balance my dreams, my vision, my goals, and my purpose. Each one plays hand in hand with one another, but when you allow frustration to compromise your thoughts and dreams there is a tendancy to put up a few road blocks. Sometimes those road blocks can send you into a corner making you feel discourage, depressed, and lost. I thank God for praying friends and family members that continue to pray over me and for me. We have all been in a place like this where you didn’t know what to do next and you got so much go on inside your head that yu got to take a step back and breathe. It’s okay to step back and re-evaulate your position, goals, vision, and edit the plan. Life is about editing over and over until you eventually get it right. So, what have I been up to? First, I had to get out of my own way and step out on faith to take my freelance skills and talent and turn it into a new business. I had to figure out God’s direction for me to go and how my other platforms would benefit from my business. Then I found myself playing the “what if” game as to when I should start my own business. Instead of battling with myself and standing in my own way, I forgot the most imporant thing that I needed to do and that was pray about, meditate on God’s good word, and most important listen for his guidance and his answer. I have been writing my novel Deceitful- Playing with Fire, and a few other projects that I plan to pursue on the big screen someday. It’s a big dream and requires a big vision. It’s time to be the inspiration, create the vision, make it cleare, be a motivator and be motivated. Most important, it’s time to be innovative and a leader which results will yield Success. It’s time not to be complacent or stagnant. It’s time to rise above and set new goals that will get you closer to yoru vision. What is holding you back. Remember, you cannot see clear if you have the same mindset, same friendships, and same goals with no results. Change your mindset, I promise you will change your mind. The vision is so clear now and it’s funny how God uses other people to give you confirmation, clarity, and sometimes the push that you need to follow the right direction. Life is too short and I am seeing not just celebrity pass on but friends and family members go home to glory. I want to walk and live on purpose utilizing my gifts and talents to make a difference in someone’s life. This is exactly why this inspirational platform is imporatant to me and getting back in position to be able to write freely and be able to inspire someone to tap into their gifts and talents is a true blessings. Get ready to be inspired, encouraged, and led by the spirit to feed your soul. I have so much inside of me that is just ready to pour out onto the blog pages. I am reading some inspirational books that are my favorites and some new that I find interesting. I am listening to my pastor’s sermons and some guest pastors who gave such a positive message about making your life better in 2016, walking into your purpose, living on purpose, helping others, following your dreams, getting out of debt, and choosing to live life healthy, happy, and spiritually feed inside out. It’s time to change the game in order to change the plan and change the story’s ending… Better yet, it’s new begining. What does Black History Mean? What does Black History month mean to me? For me it’s an honor to see the men and women who have become trailblazers for African Americans. It’s an honor to see their achievements that open so many doors for us as well as inspired the dreamers in us. I look at the picture below and see a remarkable history of powerful men and women of which some sacrificed their life and their dreams to bring about justice and equality. What it means to me is greatness with so many inspiring and empowering men and women that opened doors, sacrifice their life fighting to make things right for a people. It means recognizing greatness at its best and learning about African Americans that we didn’t learn about in school. It’s means seeing their dreams come true as they pursue their dreams and walk into their purpose. Black History means everything to me and my family. The old saying that you have to know where you come from to see where you going. It’s important to know your history. Many of the women and men have open doors for generations to come in media, television, film, and politics. They have given hope and open eyes to so many opportunities. From our first African American President Barack Obama to mult-media mineral Oprah Winfrey. Their position and accomplishments says so much not just to the younger generation but to adults of all ages. You can do anything you set your mind, heart to. They encourage and stress the importance of education. While inspiring and empowering the dreamers to discover their gifts and talents. 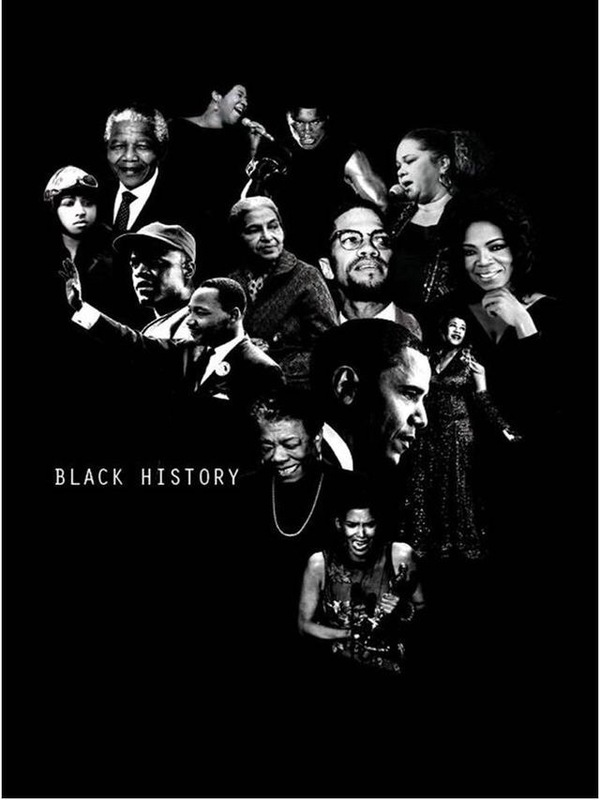 As we celebrate these remarkable men and women, let’s not forget to keep sharing the stories and journeys of great, inspiring, empowering black women and men. It’s a year for you to live your dreams and invest into yourself. I have been sitting back thinking about everything that I did and didn’t do in 2015. As I sit here as the first month of 2016 comes to an end. I ask myself a few questions? Am I ready for a blessed year? Have I changed my mindset for and about success? Have I equipped myself with the right tools and resources? What wil be different about the direction and path I take in 2016? Is God in this plan? I have made up my mind that this new direction will become a beautiful journey in 2016. 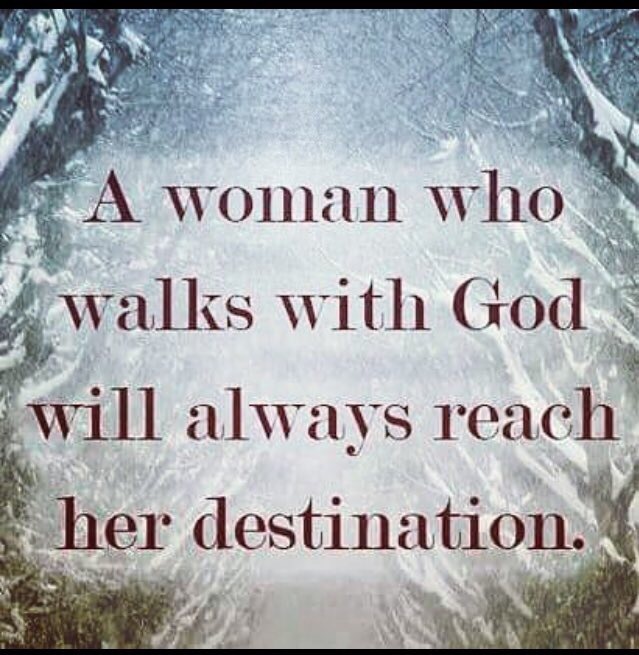 I am walking into my season and my destiny. This year will definitely be better than last year. I have come to the conclusion that not everyone will support my dreams, my goals, and my vision. The reason for that is not everyone will understand the woman that I have become, nor will they understand what is my purpose. My destiny awaits for me to jump into gear to do nothing but greatness. I am in control of mychoices and God’s in control of my destiny and nothing can stop me. The power is in me and I recognize it and accept the gift that comes with it. My own personal testimony that this will be a blessed year of action, prosperity, and wealth. Don’t you think it’s time for a better you? Life is far too short not to live. It’s time out for being afraid of the impossible. It’s time to take your dreams to the next level. Keep God in the executed plan and walk in peace m and purpose. This year I will take this inspirational platform to a level of true testimony and influence. I will be sharing some great wine of Faith’s messages, talks about purpose, passion, finding you, self-love, and hope. Does how a daughter view of her father play a role in the man she desires? I had to sit back and think about this one because when you are a single mother raising daughters, you have to consider the affect of an absent father. One has to ask herself will my daughter’s view of her father have an affect on how she chooses a man in her life. You want them to know how to identify true love. You want them to be able to understand the value of friendship, self worth, standards, respect, trust, relationship goals, and God’s love. Now, I have learned that it’s the father’s job to show her how she should be treated by a man and how she should be loved by a man. What about a daughter that grows up without her father? I believe it’s the mother’s job to show her daughter how she should be treated and how she should be loved. It’s important to give her true examples of couples who’s relationship define what love, relAtionahip, standards, self-worth, and friendship truly is. It’s Important for the mother to be an example to her daughters. Our children watch how we handle relationships on all levels. It then becomes a seed planted within them and if you are not planted the right seed. Then you can send your daughter down the wrong path on the true value of what a relationship with a man should be. In other words, be an example because she is watching how you handle your relationships and how you love a man. This is important to me given the relationship is not there with my daughter and her father. It’s his choice and I pray that some day he will realize what he missing out on. Anyway, I choose to love me, set boundaries of tolerance levels, and my expectations of what a relationship is and what it is not. I have learned from past relationships where I have stayed too long because I don’t want my daughter to see that type of relationship is healthy. We all want the best for our children and hope with prayer that they will make the right decisions. Yes, we have to allow them to make their own mistakes and decisions. It’s hard sometimes and you find yourself getting mad. You want their standards to have value and worth. You want your daughters to know who they are and know they are royalty. They are daughters of the most high and deserve the best because that’s God’s plan. Does how a daughter view her father play a role in the man she desires?